Home / Blog / Happy New Year 2018!!! Well another year down and it’s been a big one for a lot of people I know. I’ve met some amazing human beings with big hearts and beautiful souls, some just passing through and others who will be around forever. I feel lucky and very grateful to have crossed paths with you. 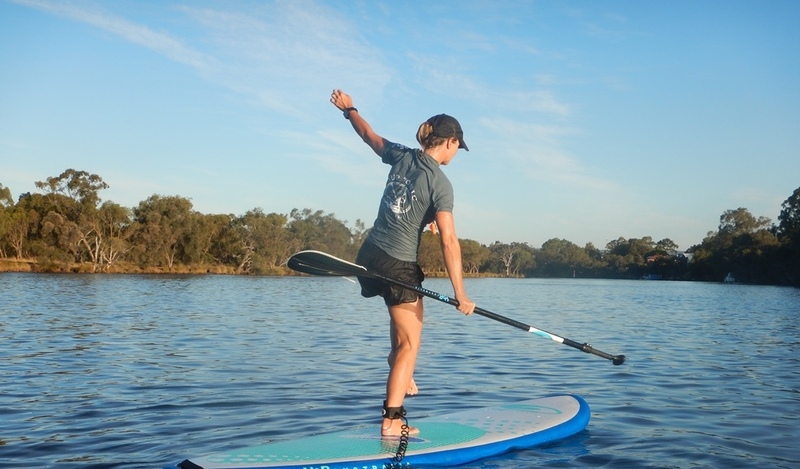 Almost everyone I’ve had the pleasure to know through stand up paddle boarding has a story to tell and all have inspired me in different ways. It’s humbling and inspiring to learn of their strength and resilience in dealing with life’s challenges. The one thing we all seem to have in common though is understanding the value and importance of disconnecting from stress, societies obligations and the ever increasing artificial world whenever we can. It’s not always possible, or the right thing to do to walk away from commitments and responsibilities and it can be a scary thing letting go of the security blanket. And let’s be honest, the “perceived” expectations of others can hold us back and derail our goals but we don’t have to jump out of planes or ride king waves to have a sense of self-worth and purpose. We can set the bar too high sometimes so it’s no wonder we often feel stuck! On a personal level I’ve been on vertical learning curve whilst trying to live by my own mantra of “keep’n it simple”. I’ve discovered that nothing worth having is going to come easily. BUT… it does get easier when you follow commitments of the heart and run your own race. So little Miss “Peter Pan” is a least having a go…what’s the worst thing that can happen right? So…If you’ve been thinking about trying something new, ditching something negative or finishing a project that you never seem to have time for, have a crack at it in 2018! IT’S YOUR LIFE! Give yourself permission and understand that not everyone will “get you” while you go off on your journey. Give them time to adjust and lead the way with compassion and kindness. I’d love to hear what your plans are for change this year so don’t hesitate to share and inspire others. Wishing you all a fulfilling 2018 and thanks for being a part of my life.